Property seizures in other countries are considered totalitarian. When they occur at the hands of the corporate-controlled U.S. government they are apparently condoned and even facilitated by the courts whose job it is to reign in this kind of abuse. The monopoly media, including “conservative” talk radio, is an information filtering system masquerading as “news.” The media habitually conceals government land grabs and other privatization schemes like the current controversy in southeastern Colorado. The army is attempting to seize property, claiming they need extra land to better prepare the troops. What’s really behind this patriotic-let’s-help-the-troops endeavor? Call it what they will, land seizure is land seizure and violates the public trust. Local authorities demanded the removal of opposition signs so ranchers improvised! What is it about Colorado and the military? In 1989, George H. W. Bush’s administration wanted to store dangerous radioactive waste at the Pueblo Army Depot but the state justifiably objected. Toxic waste disposal is no longer an unmanageable issue – well-connected arms manufacturers use it for bombs and bullets – kind of a double whammy – if the bullets and bombs don’t kill them, the lethal residue causes widespread cancer and horrific birth defects for future offspring of those who absorb, inhale or swallow the deadly dust. The Pentagon and their private contractors suppress the noxious nature of depleted uranium. Earlier, they didn’t tell troops about Agent Orange. And the citizens of Anniston, Alabama weren’t told about PCBs. There are thousands of such examples. The government consistently protects corporate profits rather than citizens. According to another report from the U.S. Government Accountability Office, dated April 10, 2008, the army claims they need to restructure and rebuild which will require at least $190 billion for equipment through fiscal year 2013. In 2007 alone, in order of rank, the Pentagon paid the following, often no-bid contracts: (1) Lockheed Martin Corp. $12,679,523,202; (2) Boeing Co. $7,300,000,000; (3) Northrop Grumman Corp. $6,821,000,000; (4) KBR Inc. (a spin-off of Halliburton) $5,517,070,621; (5) Science Applications International Corp. $4,412,146,628; (6) Raytheon Co. $4,068,752,346. Given these massive figures, one would justifiably trust that America is well-armed, impenetrable and protected. The North American Aerospace Defense Command (NORAD) was previously located one mile west of Fort Carson at the Cheyenne Mountain Operations Center. NORAD provides selective response to air, missile, and space attacks over U.S. and Canadian airspace. A faulty system must have failed miserably on 9/11 because no one was reprimanded or fired for incompetence. But wait; there was an upgrade in 1987 at a cost of $968 million and another one by Lockheed in 1993. Lockheed also received NORAD upgrade contracts in April 1999. Then after 9/11, the government spent about $700 million to upgrade the early warning systems at Cheyenne Mountain. By March 2005, thanks to Lockheed, NORAD had a newly refurbished, $14-million state-of-the-art control room – NORAD now “includes a station that receives Federal Aviation Administration data, flight plans and access to 50 FAA radars and 20 air-traffic control stations. NORAD can even tune into commercial airline radios and listen to chatter about unruly passengers.” On July 28, 2006, it was announced that NORAD would relocate from Cheyenne Mountain to Peterson Air Force Base, also in Colorado. After the move, the government awarded another upgrade contract to Lockheed worth about $800 million. Meanwhile the levees and bridges are failing or weak and thousands of America’s roads are dangerously riddled with deepening pot-holes. 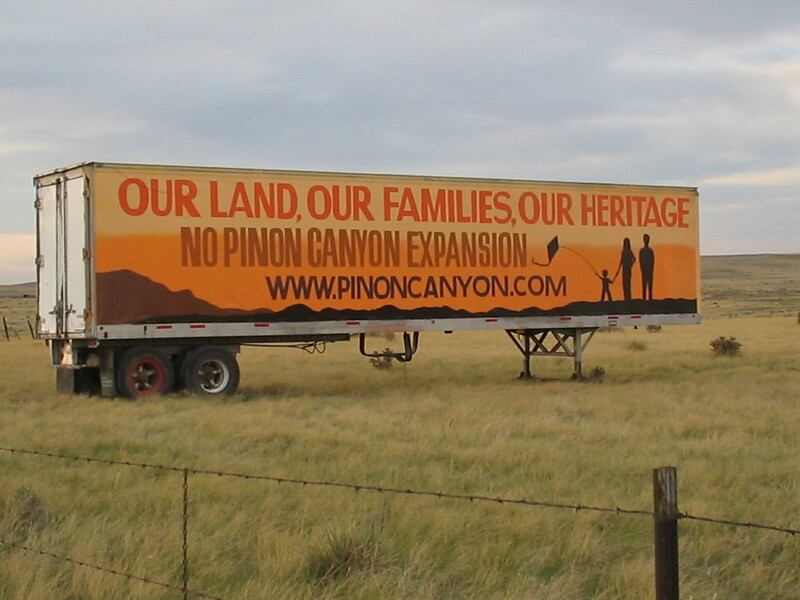 With the implementation of the Department of Defense’s Military Housing Privatization Initiative of 1996,  Fort Carson was selected as the Army’s model for the development of the privatization initiatives. Privatization is the process of transferring ownership of resources and land from the public and private sector to fat-cat corporations who usually pay no taxes. Congress privatized the people’s money with the treasonous Federal Reserve Act of 1913, placing the control of money into the hands of international banking families who have deliberately debauched our currency. The FED, a private corporation and a complicit Congress, wishing to retain power and popularity, have spent America into bankruptcy – paid for by the people’s labor, land, resources and blood. On February 10, 1998, the Defense Department, the enforcement arm of Wall Street notified Congress that they were transferring $15.82 million to the Fort Carson Family Housing Limited Liability Corporation, a division of J. A. Jones, a subsidiary of Philipp Holzmann AG, a Germany-based construction company that used concentration camp labor during World War II. The Fort Carson Family Housing Limited Liability Corporation of Charlotte, N.C. “won” this whopping contract worth more than $3 billion over the span of the contract. See how much Philipp Holzmann AG and others were gifted just in 1999. Between October 1, 1997 and September 30, 2003, out of $900 billion authorized expenditures, Philipp Holzmann AG received pentagon contracts amounting to $1,723,275,972. “Half of all the Defense Department's budget goes out the door of the Pentagon to private contractors.”  Other funds, 25%, apparently cannot be accounted for. Even before 9/11, expansion of the military as well as increased corporate take-over of public military facilities was part of the game plan. “Since 1997, Defense Planning Guidance (DPG) has directed each of the Services to develop an installation-level plan to respond to the growing need for quality affordable housing for military personnel by the year 2010. The Army's initial plan, completed in September 1998, called for the privatization of about 85,000 Army Family Housing (AFH) units over 5 years at 43 US locations.” The army’s billions-of-dollars housing privatization program is known as the Residential Communities Initiative (RCI) and is worldwide. See the entire program here, scroll down to view the full implications. This is a much bigger problem than the dedicated ranchers of Colorado. But for them, it is their life and their livelihood. The next time you are enjoying a hamburger or a steak (if you can still afford one), thank a rancher, the government didn’t produce it. If the government can target Colorado’s ranchers, they can target anyone! Oh and that land grab – it has nothing to do with training soldiers! Stay tuned for parts two, three and more. Bonds: Port of New York Authority to Raise $100-Million by John H. Allen, The New York Times, February 28, 1968.